There is a movement underway to get knitters out in the public and to show the craft is not just for grannies. One of the leaders of this campaign recently came to St. Paul. 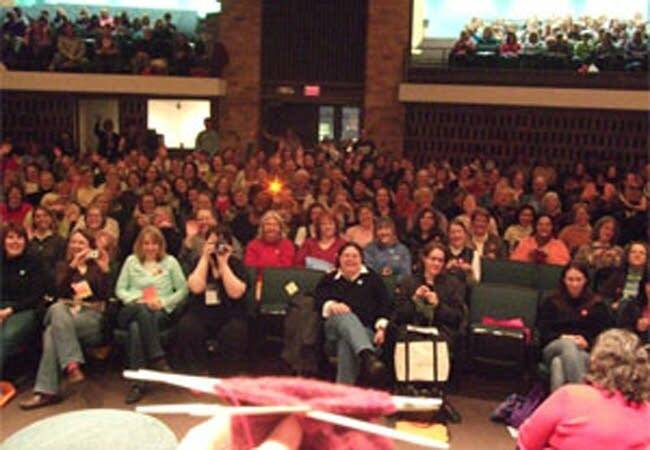 More than 600 knitters packed into an auditorium at the University of St. Thomas in St. Paul to listen to words of wisdom from Stephanie Pearl-McPhee, the woman who calls herself the Yarn Harlot. 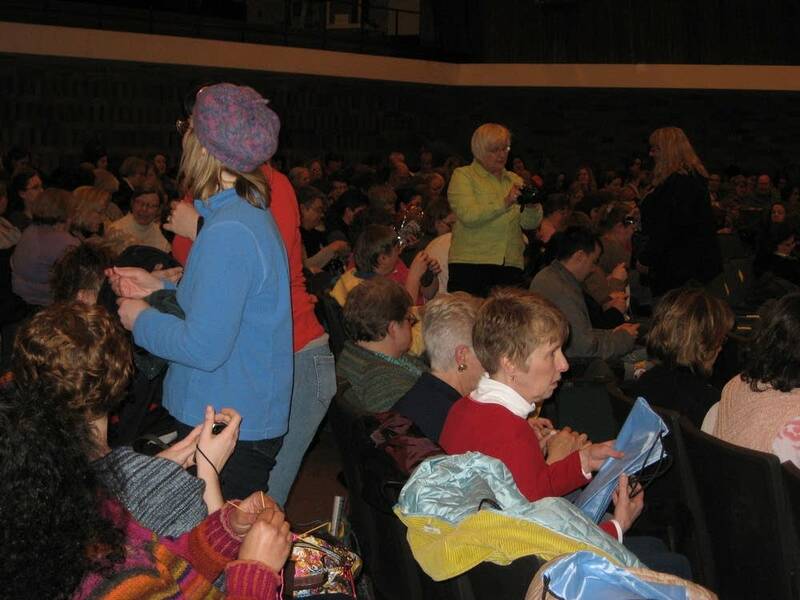 Just about every audience member was busy knitting something while listening to Pearl-McPhee's presentation. That's 1,200 needles in motion. Pearl-McPhee describes herself as a dork with funny hair. This kind of attention is new to her. "I think it's only that I'm managing to say out loud what everybody is thinking. 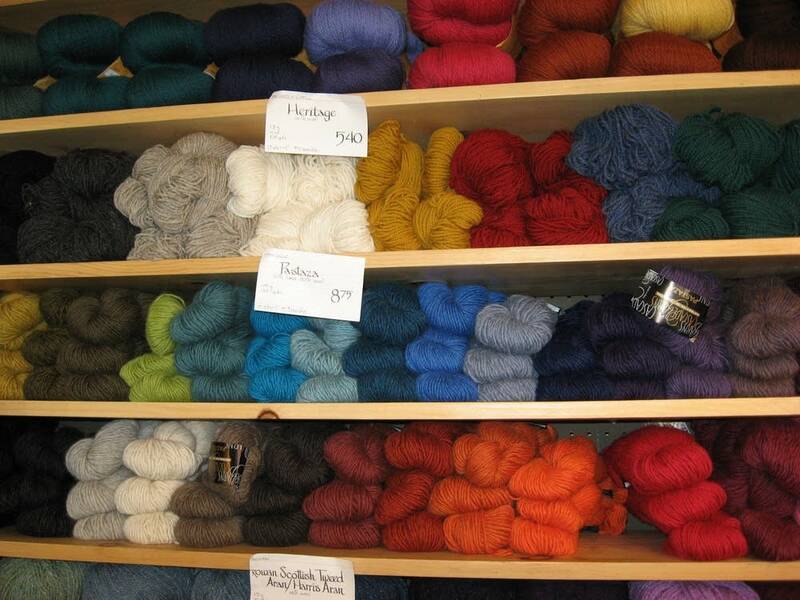 I'm only saying what other knitters would say if they had the same platform I do," Pearl-McPhee said. Pearl-McPhee is a mother of three from Toronto, Canada. 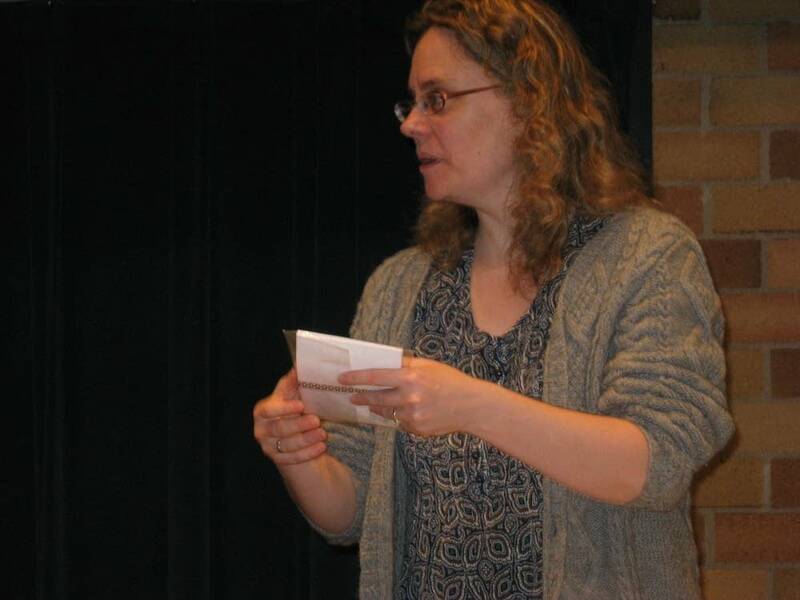 Her main platform is her Yarn Harlot blog, which she started in 2004. She updates the blog daily with photos of her latest knitting project, snippets of philosophy and humorous anecdotes of the things she's learned while knitting. She also uses the Web site and her connection with knitters to raise about $435,000 for Doctors Without Borders. So about that name, the Yarn Harlot. "I was writing about how I was knitting pink lace socks for my mother for her birthday. I had finished the first one and immediately developed a whopping case of second sock syndrome, where I would rather lick a camel than knit the second sock at that point," Pearl-McPhee said. "It's part of the challenge of socks. You get a false sense of accomplishment because you have a completed object, but not a pair. You have to overcome that and do the whole thing over again, even though it's lost much of its charm in the repeating." "I was talking how I would rather go out and find a cross-dressing pirate, you know who needed one pink lace sock, than knit the second one," she continued. "I said that I guessed I just had yarn monogamy issues. I guess I was a yarn harlot. And the name stuck." With more than 53 million knitters in the U.S., Pearl-McPhee is frustrated that knitting is still seen as an old-fashioned hobby for people with lots of spare time. Knitters are extremely productive people who are good at multi-tasking and goal-setting, she says. Knitting also helps with mental focus, relaxation and math skills. The message in her latest book, "Things I Learned from Knitting Whether I wanted to or Not," is that knitting is a metaphor for life, Pearl-McPhee says. Life, like knitting, requires patience, problem solving and letting go of perfection. Before the fanatical crowds and her popular blog, Pearl-McPhee spent her childhood watching her grandmother, a professional knitter, create items on commission. Her grandmother taught her to knit when she was 4 years old. "I remember everything about that moment. I remember it the way some people remember religious epiphany. I remember what she was wearing. I remember the birds. I remember everything about it. It was an instant intrigue that's gone on to last 35 years," said Pearl-McPhee. 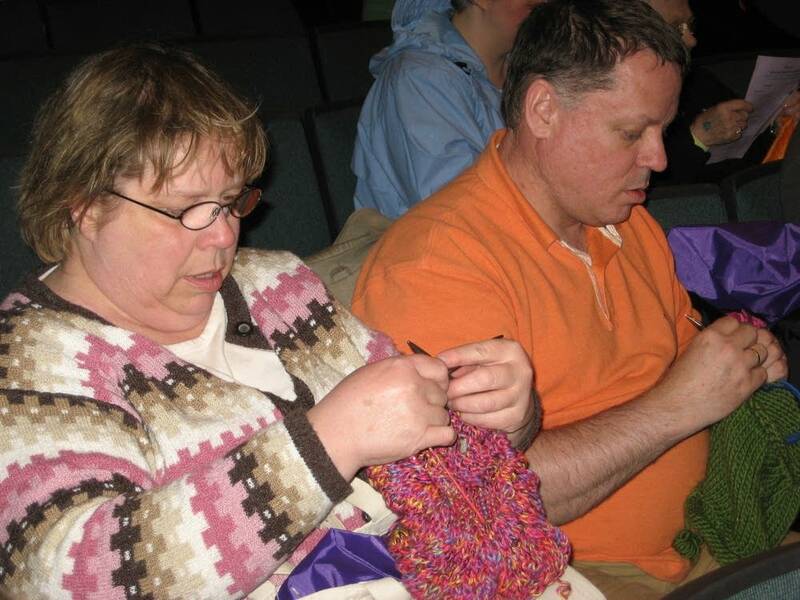 In 2006, Pearl-McPhee started an event she dubbed the Knitting Olympics, a competition for knitters to start and finish one challenging project during the time frame of the Winter Olympics. More than 4,000 knitters worldwide participated. She hopes to host another round during this summer's Beijing games. The slogan is, "16 days, many knitters, one dream."